Reboots and Rebrands and Remakes, Oh My! What’s with the lack of originality these days? The first incarnation of Fantastic Four with Jessica Alba and Captain America himself, Chris Evans, came out in 2005, closely succeeded by a sequel in 2007. 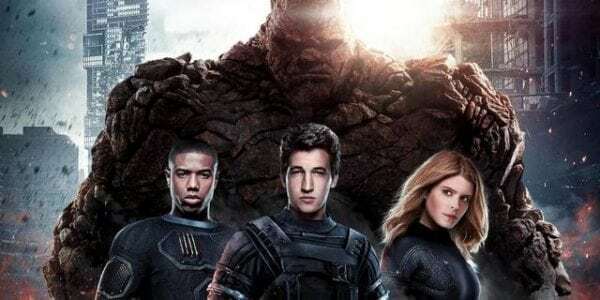 However, just eight years later, 20th Century Fox rebooted the series with an extremely talented young cast including Michael B. Jordan, Miles Teller, Kate Mara and Jamie Bell. Although some people were already scratching their heads in confusion at the idea of a reboot less than a decade after the last film came out, with such a promising cast and the idea that this would be an ‘origin story’ (but aren’t they all? ), audiences seemed more at ease with the idea. Unfortunately, the reboot was a massive flop, both critically and commercially. The film was dogged with issues and rumours of unrest amongst the cast and crew were rife. A sequel had been planned but there has still been no word as to its progress. Maybe I’m being harsh here. I haven’t seen the 2018 version of Overboard but the trailer itself makes my blood boil. The original 1987 version, with Goldie Hawn as the spoilt amnesiac and Kurt Russell as the struggling, single father, is a classic. Their chemistry leads to many a laugh and it’s a film that audiences hold close to their heart. 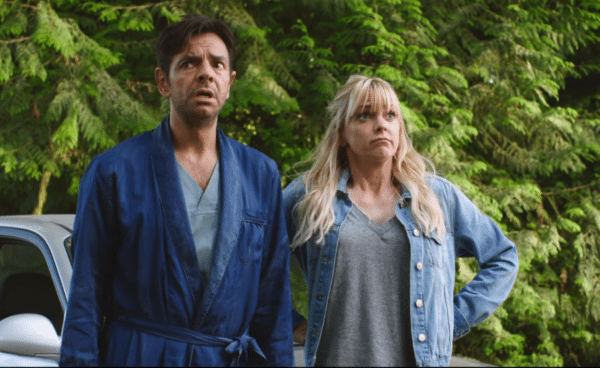 In the 2018 version Anna Faris plays a struggling, single mother and Eugenio Derbez plays a spoilt amnesiac. Hang on a second! Those sneaky studio types have gone and played a trick on us! This isn’t your average remake, they’ve gone and switched the genders! These kind of remakes are the height of unoriginality. It is such a shame that studios think that their audiences are so stupid, that swapping the gender of the main characters will make it watchable. It was reported in 2016 that the classic 1984 film Splash with Tom Hanks and Daryl Hannah, will also be remade, only with a TWIST! You guessed it! Gender swap! A gender swap is not a twist Hollywood! Maybe M. Night Shyamalan needs to start delivering twist masterclasses. 1994 brought the classic Farrelly Brothers film Dumb and Dumber into our lives, and a legion of dedicated Lloyd and Harry fans were born. Dumb and Dumber was a sensational stand-alone film; streams of jokes, improvisations and timeless comedy scenes makes it one of the best Farrelly Brothers’ films and the kind of film you can rewatch countless number of times. Twenty years later, Dumb and Dumber To was released. Once again, audiences were excited. 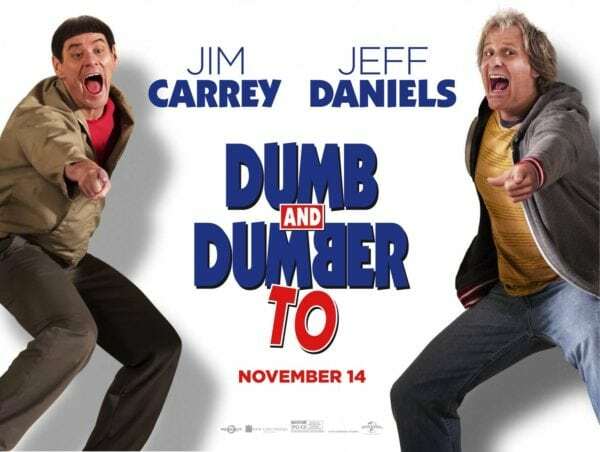 Jim Carrey and Jeff Daniels were reprising their roles, the Farrelly Brothers were back to direct; what could go wrong? Well, to be frank, it just wasn’t very good. The gags didn’t work – they were almost too stupid to be funny and that is saying something! The kind of humour that was so popular and rife in the 1990’s, simply didn’t translate to 2014. In the past few weeks a sequel to the 1986 classic Top Gun has started shooting, and it has been confirmed that a new Bill and Ted film will be made 27 years after the last one came out. No one is asking for these late-sequels, yet they just keep on coming. So what do you think? Is Hollywood lacking originality? Let us know your thoughts and your least favourite sequels, reboots, remakes, rebrands and late-sequels in the comments.